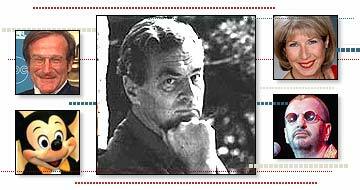 Knighted this week, Sir Patrick Leigh Fermor is a cross between Indiana Jones, James Bond and Graham Greene. After walking across Europe in his teens, he parachuted into Nazi-occupied Crete during World War II and captured its German commander. Today, aged 89, he is widely regarded as the greatest travel writer of his generation. He has lived at least three lives in one. Ruggedly handsome, a skilled linguist and a sublimely gifted writer, Sir Patrick Leigh Fermor combines the artistic and the heroic. He served in the Greek cavalry while still in his youth and won the Distinguished Service Order for his exploits in Crete, Today he is lionised as one of the finest writers of the past century. Patrick Michael Leigh Fermor - known to his many friends as Paddy - was born in London on 11 February 1915. His father, Sir Lewis, was a distinguished geologist who spent much of his career in India. After a brief, unhappy, sojourn "among the snake-belts and the bat-oil of a horrible preparatory school", he progressed to King's School, Canterbury, where one house-master dubbed him "a dangerous mixture of sophistication and recklessness". "Sacked", as he put it, from King's following a teenage dalliance with the daughter of a town greengrocer, he read voraciously - Latin, Greek, Shakespeare, history - for the Sandhurst Military Academy entrance examination, which he failed. So, aged just 17, he decided to walk across Europe from the Hook of Holland to Constantinople (now Istanbul). So, on 8 December 1933, a month after Adolf Hitler came to power in Germany, he set off from London with just a small rucksack containing a few clothes, the Oxford Book of English Verse and a volume of Horace's odes for company. On just a pound a week he crossed the continent, tramp-like, wandering through town, village and city, across mountains and beside rivers, sleeping in doss-houses and castles and, above all, writing. This journey, which he chronicled in A Time of Gifts and Between the Woods & the Water, brought him face-to-face with the last blossoming of a now vanished Europe. It was a world of gypsies, isolated farming communities whose ways had changed little since the Thirty Years' War, faded Austro-Hungarian aristocracy and Mitteleuropean Jewish communities now lost to World War Two, the Holocaust, and the Cold War. Erudition shines from every page, whether describing duelling in Heidelberg or the Carpathian mountains, with its "fiendish monocled horsemen, queens in lonely towers, toppling ranges, deep forests and plains full of half-wild horses." After reaching Constantinople, he travelled extensively in the Greek archipelago, celebrating his 21st birthday in a Russian monastery on Mount Athos. At the outbreak of World War II Sir Patrick, with his intimate knowledge of south-eastern Europe and first-class linguistic skills, found himself serving in the Special Operations Executive, the forerunner of the modern secret services formed by Churchill to "set Europe ablaze". After fighting against the German forces then sweeping through Greece and the Balkans, he was parachuted into occupied Crete in 1942. There, for two-and-a-half years, he organised resistance to the 22,000 German troops occupying the island. Disguised as a shepherd, he directed an operation to capture the island's military commander, Major General Karl Kreipe. After snatching the general and hijacking his staff car, Sir Patrick and his comrades drove through the capital city, Heraklion, successfully negotiating 14 checkpoints on route. 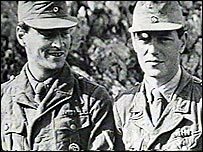 As Major Leigh Fermor and his colleague Major Stanley 'Billy' Moss were dressed as German corporals, capture would have meant certain death. After three weeks hiding in the hills, they finally accompanied their precious cargo by boat to Cairo. This daring escapade was immortalised by Moss in his 1950 book Ill Met By Moonlight. Dirk Bogarde played Sir Patrick in the successful big screen adaptation. After the war Sir Patrick worked briefly as deputy director of the British Institute in Athens before resuming his travels, producing works like Mani and Roumeli, which explore the complex and colourful sweep of Hellenistic culture. And today his many admirers, which include the Duchess of Devonshire and the military historian, Antony Beevor, eagerly await the third volume of Sir Patrick's memoirs. The quirky US comedian hijacked a news conference in Germany and gave those there the benefit of his thoughts. In a quick-fire routine the star, who is about to return to stand-up comedy after an absence of 16 years, touched on everything from US foreign policy, through McDonald's burgers, to Mel Gibson. About Janet Jackson's recent 'flashing' incident, he commented: "It was only there for a second and then it was gone. But it did look like a door knocker." Quite. Former BBC Royal correspondent Jennie Bond's courage in coping with rats and stick insects on ITV's I'm A Celebrity, Get Me Out of Here earned widespread admiration, but it was her inability to cope without make-up that is set to earn her a fortune. Offers have been flooding in from cosmetics companies. Jennie has already pledged her £100,000 share of the proceeds from telephone votes to the Devon air ambulance trust. Mickey Mouse may be going to a new home. The Walt Disney Company, which includes the film company, the ABC and ESPN television networks and four theme parks, is the target of a takeover bid from the US cable operator, Comcast. If the deal comes off, it will make the new company the world's largest media and entertainment conglomorate. Comcast's bid values Walt Disney at a cool £33bn. And that, as they say, is a lot of cheese. Ex-Beatle Ringo Starr has undergone an operation in Los Angeles to remove bone spurs from his shoulders. The condition, believed to have been caused by more than 40 years of playing, could leave him unable to drum for six months. His former band member, the late John Lennon, might not have been impressed, though. The acid-tongued icon once quipped of Ringo, "He thinks he's the best drummer in the world. He's not even the best drummer in The Beatles." "I suddenly found myself in some tremendous castle with banners flying and horses galore."